When people have a toilet overflow, or broken sewage backflow valve, they rely on the expertise and skill of owner Zack Cohen and his sewage backup Ventura team with 911 Restoration Ventura to bring their home back to normal quickly and without cutting corners. Sewage backup Ventura issues are less common, but when they do occur, they require skills and expertise in the field with resolving such challenges, and this is why Zack and his teams are IICRC certified and trained to take on anything. Expediency in these matters is crucial and this means a fast response time from professionals doing the work. “We can be anywhere within 45 minutes to start providing people with relief from their sewage backup situation,” Zack says. Don’t let a sewage backup challenge make your home unusable. Contact Zack and his crews of sewage backup Ventura professionals with 911 Restoration Ventura today and let them take on the sewage for you in no time! “People should always have their entire plumbing system inspected at least every three years to make sure that there are no outstanding clogging issues that might grow if left untouched,” Zack says. Additionally, homeowners can prevent many sewage issues by simply not ever trying to flush things in the plumbing system that it was not designed to handle. “It’s best not to ever try and put those baby wipe tissues into the system because they can get clogged and cause a backup,” Zack says. Toilet overflow situations are extremely common and they can send sewage backup water all throughout the home. 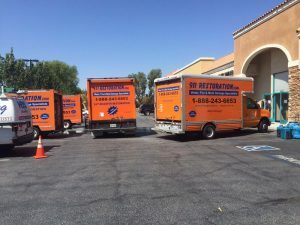 If you’ve found yourself in a sewage backup scenario and you want the professional assistance of the best in the business, then don’t hesitate to contact Zack and his crews of sewage backup Ventura experts with 911 Restoration Ventura today! 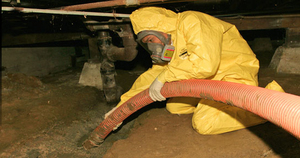 Zack and his professional teams of sewage backup Ventura experts know that these situations can be difficult for homeowners and businesses alike to imagine being repaired, but in reality Zack has done this work for a long time, and he can bring any home back from the brink. “We’ve seen all different kinds of sewage related challenges in our time, but by far the most extreme was when the entire crawlspace was flooded with it, and the only access point was too small for anyone to fit into besides one guy on the team,” Zack says. 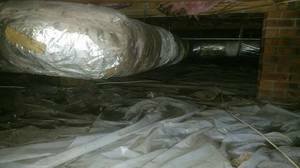 Zack sent his lone employee into the crawlspace and through dedication, hard work and perseverance, he did the suction portion of the job all alone. “No matter what the job, we have an experienced, certified technicians that can handle it with ease,” Zack says. Zack and his sewage backup Ventura crew even helped this homeowner out with the insurance paperwork to make this event as easy to get past as possible. “We always want to make sure that our clients are taken care of and kept up to date on the whole restoration process because that yields the best results every time,” Zack says. If your home is experiencing sewage backup issues, then don’t wait another minute to contact Zack and the sewage backup cleanup Ventura team with 911 Restoration Ventura today!